“Ask, and it will be given to you; seek, and you will find; knock, and it will be opened to you :”MOMO WITH THE SMILING HUT”. This is a tale about a small Hut in the Alps: the “Smiling Hut” Susanfe Hut and the Himalayan culinary specialty “Momo”. How did they meet and why they met, this is the question! The “Smiling Hut “or Susanfe hut is established since 1935 on the route around the great “Tour des Dents du Midi”. It is located above Champéry, in the Wallis canton of Switzerland. Until today, many people have experienced the warmness of this small mountain hut. 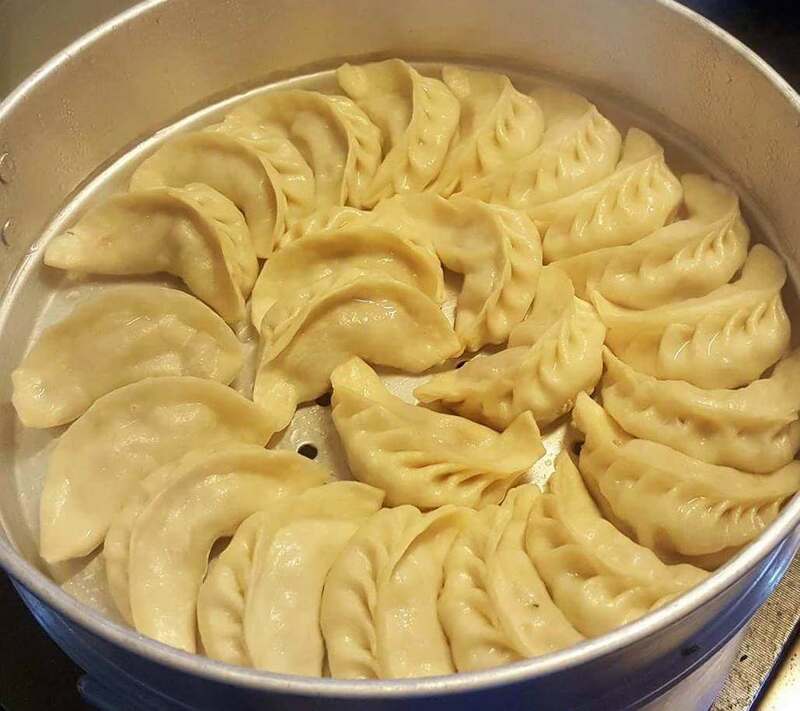 And the Himalayan culinary specialty “Momo” is one of the most famous dishes in the trans-Himalayan region, in particular in Nepal, where 90% of the population put it on the top of the list of their favorite food. The Momo is a small dumpling filled with a mixture of chop meat, ginger, coriander, and onion before being steamed. After the devastating 2015- earthquake in Nepal, the non-profit Association “Butterfly-Help-Project” was looking for some funds to rebuild schools in Nepal. 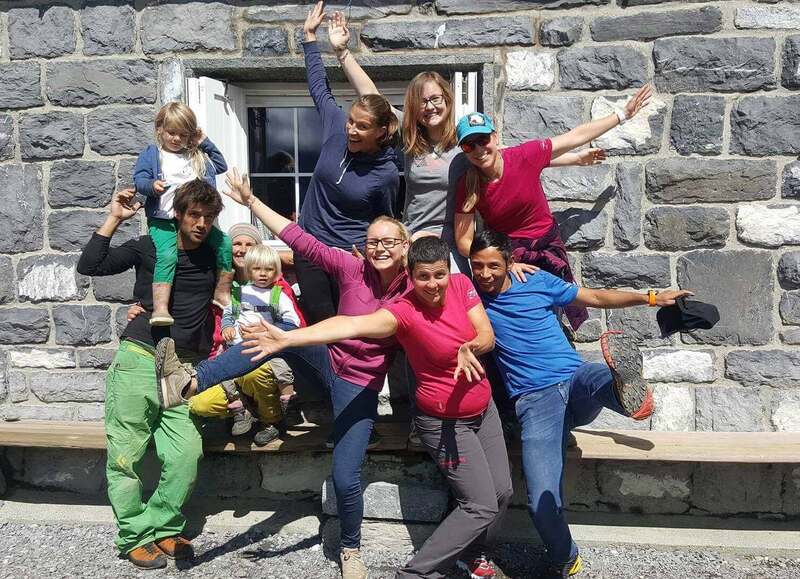 The “Smiling Hut” opened warmly its door through the hands of its Guardian Fabienne with the idea to introduce the Himalayan Momo in the Swiss Alps. Since then, it has been 3 conjugative years and the event became very successful. Whether the Alps or the Himalaya, both have been blessed by the nature with Skyline Mountains, wild valleys, deeps gorges, turquoise lakes, white rivers and grazing cows/yaks. Besides the nature, the mountainous spirit among the people is something, which is defined less often. 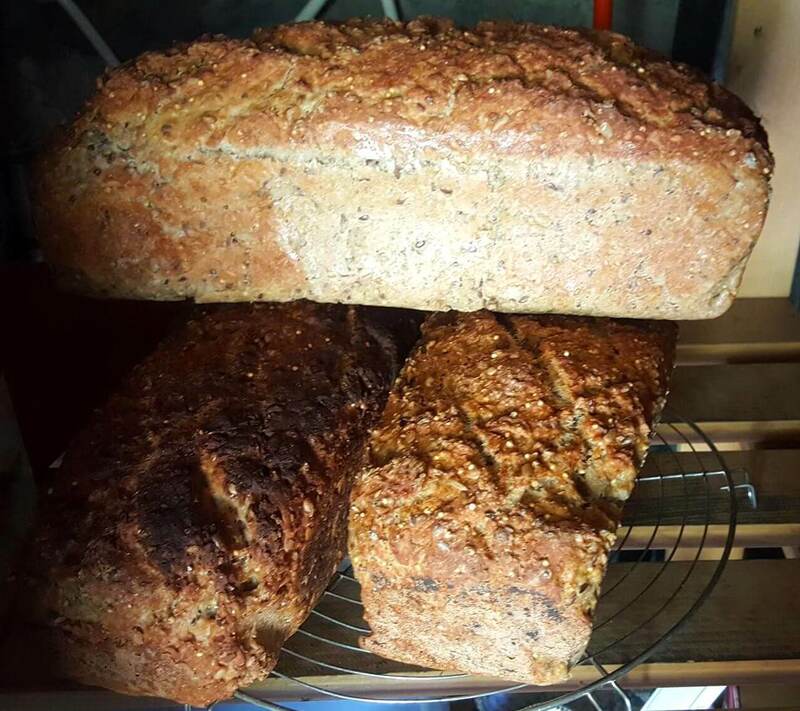 But people coming from different countries, region, social status once they are in the hut automatically start to share the table, place in front of the wood fire, even the food served, lost as they are in their own adventurous talks. Everyone has time to listen to each other, no phone, no social status, no chit chat, just the present moment. This is one of the beauties in the mountain environment, to feel this moment and appreciate by humans without the means of technology. We believe Mountain to be the place where one can rejuvenate him/herself mentally- physically and spiritually. The enthusiasm and curiosity about the Himalayan life shown by the people who were present at this event was something amazing to observe. Kind thoughts towards contributing for a good cause while eating. Despite the bad weather of Friday night some people went back home in the night with lots of smile and little “wine sparkling eyes”, others came falling from the sky with their paragliding to taste the famous Momo, while some were sharping their crampons after having eaten Momo. And finally, some could not even taste the Momo…because they were eaten until the last one. What a moment. “Butterfly Help Project and Wild Yak Expeditions” wishes to express its sincere gratitude to all the lovely people who have shown such a great love and enthusiasm for supporting and contributing to this event and the contribution will be benifited to one more school in Nepal (Rasuwa district) build under the supervision of Butterfly-Help-Project. Our special thank you to Fabienne “the Smiling Hut” Guardian and her three beautiful and very strong teammates Amandine, Mathilde and Lisa for their immense support and energy.